MULTIPLE OFFERS - FINAL AND BEST DUE IN WRITING TO LISTING AGENT NLT SUNDAY 9/16 BY 8PM. PLEASE FOLLOW OFFER INSTRUCTIONS TO PREVENT DELAYS.Great house for the money! 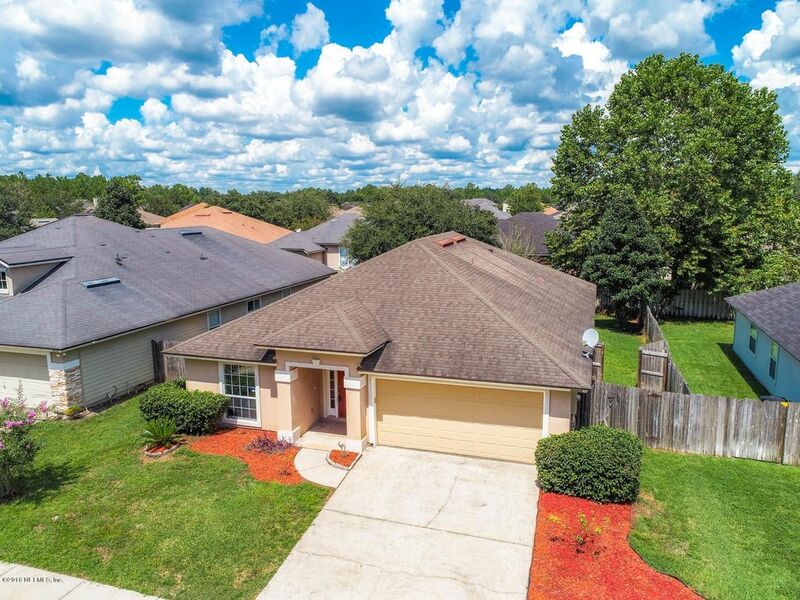 Close by to shopping, retail, Costco, dining and NAS Jax as well as downtown & JIA. Great floorplan - separate dining area that leads to fully equipped kitchen w/eat-in space all with nice wood plank tile; breakfast bar opens up to large gathering room w/brand new wall to wall carpet; split floorplan; master bedroom has walk-in closet & en suite bathroom w/sep shower; garden bath & double sinks w/nice Corian counters. Inside laundry room for convenience. Back yard has covered porch, fenced yard & mature trees for shade. Seller is offering 1 yr HOW 2-10 $540. At this price, this won't last long! Make your appt today! Directions: From Shindler Dr, west on Collins Rd, t/r on Hawks Reserve Dr, t/l on Redtail Dr, follow to house on right.